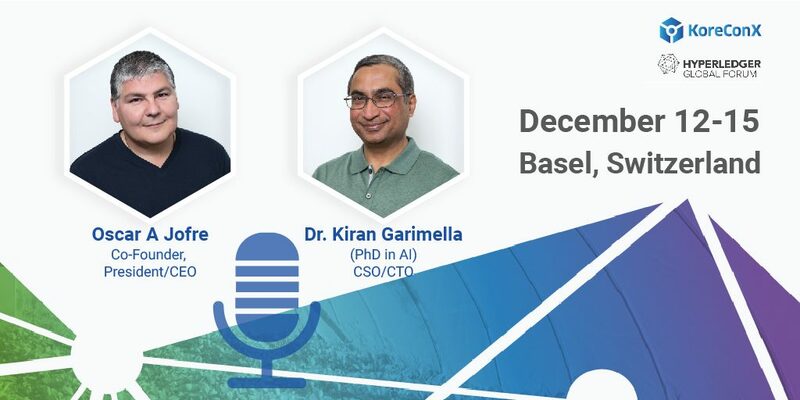 Oscar Jofre (co-founder & CEO of KoreConX) and Dr. Kiran Garimella (chief scientist and CTO at KoreConX) will be speaking at the Hyperledger Global Forum in Switzerland, on December 12. The theme of the talk will be “Business-Driven Blockchain Architecture for Private Capital Markets”, and Oscar and Dr. Garimella will address the conditions necessary for creating a safe and secure platform that is fully compliant in multiple jurisdictions. The talk will happen at 1:20 pm CET. The Hyperledger Global Forum will bring together more than 1000 blockchain users, developers, enterprise and enthusiasts.